PM Modi called the Congress manifesto a "hypocrite one." New Delhi : National news channel ABP conducted an exclusive interview of Prime Minister Narendra Modi today, 5 April. During the pre-election interview, PM Modi spoke flawlessly on all the issues pertaining to upcoming polls. The motive behind the interview was to dig at Congress manifesto for the Lok Sabha Polls. And, during the session, the BJP head called the Congress manifesto a "hypocrite one. "He said that Congress has insulted country’s Army in its manifesto and that it is in sync with the language, separatists use for the country. 1) When PM Modi was asked about past 60 months, he said that during previous government's tenure people did not have aspirations from government. This is what is different during this government's tenure. Common man expects more from government. 2) Speaking about Congress manifesto, PM Modi said that it is possible to expect a mature manifesto from an experienced party like Congress, but their manifesto has brought a lot of disappointment. 3) PM Modi also said that the Congress party has insulted country's Army in its manifesto. 4) Further speaking about alliance of BJP with PDP in Kashmir, PM Modi clearly said that it was a 'milawat waali sarkar' (government of mixture). 'Mehbooba Mufti has a different style of working and we have different though process,' PM Modi said. 5) On the issue of Kashmir, PM Modi said that we are following the path of former PM Late Atal Bihari Vajpayee who believed on Jamuriyat (democracy), Kashmiriyat and Insaaniyat (humanity). 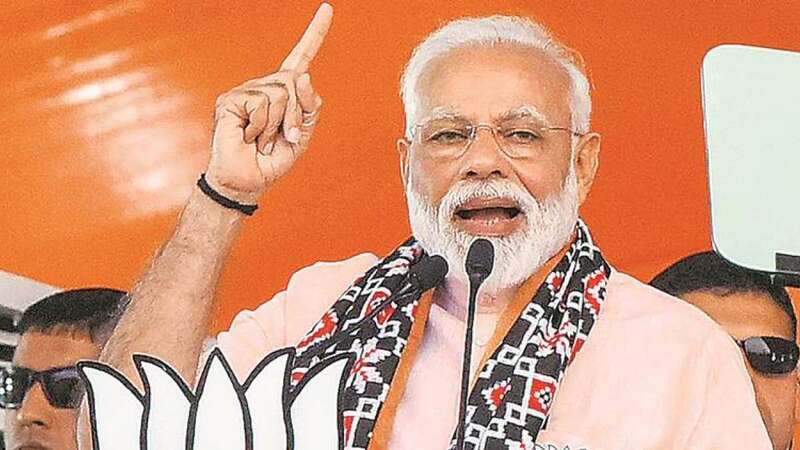 6) "Electricity has reached every house in Jammu and Kashmir; we have been successful in building toilets in every house"
7) Speaking about proofs of airstrike on Balakot, PM Modi said that the biggest proof was given was Pakistan itself by tweeting about the attack. Those who are putting allegations or asking for numbers can keep on doing that. 8) When asked PM about the allegation of him busy in photoshoot when Pulwama Attack took place. PM said: It is shameful that some people think like this, I was not aware that something like this will happen. 9) When asked about his thoughts of Priyanka Gandhi Vadra contesting against him in Banaras, PM Modi said that democracy gives right to everyone to contest elections from wherever they want. 10) PM Modi said, "I am only scared of God and 1.25 billion people of this country. I am scared even if a little trouble is faced by the citizen of this country"
14) 'We wanted to conduct a non-military, pre-emptive airstrike in Pakistan. We ensured that no Pakistani citizen was harmed in it. We wanted to target only terrorists,' PM Modi said on Pakistan airstrike.